With a strong belief in the brand philosophy that Ok is no longer OK, Mahindra paved the way for a breakthrough in the trucking industry. The Mahindra Vehicles Manufacturing Plant Ltd. is a state of the art plant in Chakan, home to the Mahindra Navistar truck. With its cutting edge technology the Chakan plant at Pune is recognized as the future of manufacturing and the birthplace of outperformance. 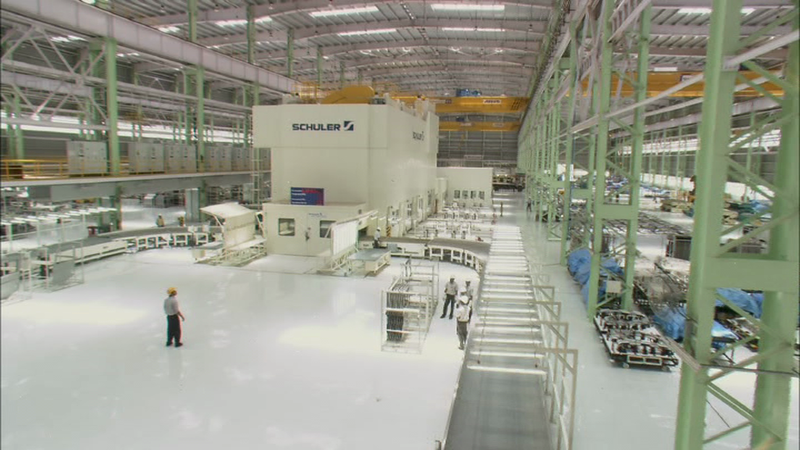 Packed with world class equipment, this revolutionary factory is a sprawling 27,000 square meters. Made in India, for the Indian roads it has 92 assembly stages and truck variants ranging from 16 to 49 tons. The 5 stage End of Line Vehicle Quality Verification, In- Process Quality Checks and Buy Offs and safety assured through the use of an Electric DC Nut Runner all contribute to the rigorous quality control that Mahindra Navistar ensures before their trucks hit the road. Fuelled by solar power the entire plant is Eco friendly and energy efficient. Assuring quality through precision machinery and minute attention to detail for every truck, the Chakan plant is truly a factory of the future. Mahindra Navistar has imported technology from Schuler, Germany; a technology so advanced it’s the first of its kind in India, with only 2 counterparts across the globe. Built with the best technology and machinery for a country rearing to outperform, the Mahindra Vehicles Manufacturing Plant Ltd. at Chakan is the epicentre of India’s trucking revolution. Come experience cutting edge technology at our state of the art plant in Chakan.